It doesn't look like Tweety will take kindly to a dirty carpet. 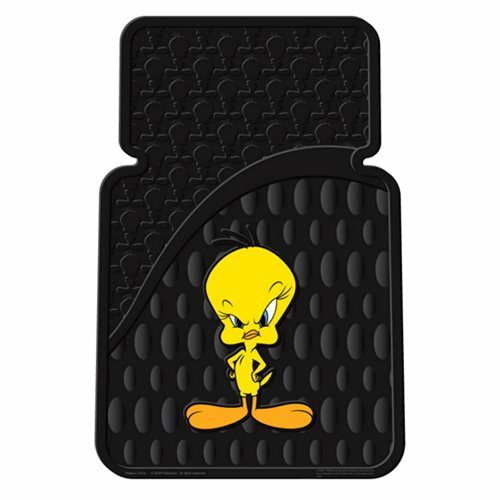 Add excitement to your car while protecting your car's interior from dirt, mud, and spills with this Warner Bros. Tweety Attitude Floor Mat 2-Pack. Sold in a set of two, these floor mats will fit in most cars. These PVC mats, molded with rich and deep colors to resist fading, measure approximately 26 3/4-inches x 18 1/8-inches and are proudly made in the USA! Ages 14 and up.